I had a really strange thought a couple weeks ago – hear me out and tell me what you think! Have you ever considered paying yourself what you think you should be paying in taxes? Do You Think Taxes Will Increase in the Future? I’m not sure if there is much debate over this issue, actually. The US national debt is 100% of GDP and we have among the lowest tax rates of our peer nations. Something has to give! It will come down to increasing taxes or cutting services (chiefly entitlement programs). Personally, I think both of these are going to happen – maybe not in the next few years, but eventually, and for everyone. As I’ve navigated around the PF blogosphere, I’ve seen nearly everyone advocate for investing in the Roth IRA for most income-earners. Part of thinking that an individual will be in a higher marginal tax bracket in retirement comes from higher income taxes expected in the future. I also heard an interview with Simon Johnson, the author of White House Burning, a couple weeks ago on Planet Money. He proposes letting the Bush tax cuts expire and reducing/eliminating deductions for mortgage interest and employer-provided health insurance among others, as well as cutting spending. He argues that we must pay more in taxes in the future – just the plain facts as he sees them, not as a political statement. I don’t know if we’ll necessarily be paying more in income taxes in the future, but I am confident that we will be paying more taxes overall. What Taxes Might You Pay That You’re Getting a Break on Now? One of the first things to go may be some deductions and credits in our tax returns, as suggested by Simon Johnson. I wrote two weeks ago about how a fellowship recipient is exempt from payroll taxes because he does not have earned income. While I suppose his Social Security/Medicare benefits might be reduced because he didn’t pay in for those years (yeah, right! ), I basically view this as a tax break. In any normal situation, he would be paying those taxes, but, fortuitously, he’s not. That gives him the opportunity to do whatever he likes with the extra 7% like saving it while living a lifestyle that he won’t have to cut when he transitions off of his fellowship. Around tax time I also started thinking about the standard deduction. What is its purpose? 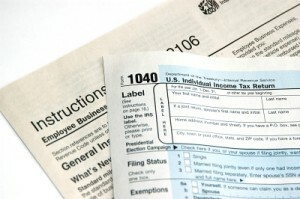 If I can’t conjure up itemized deductions, why should I get to take a standard one? And why do we have all these tax deductions in the first place? I understand the charitable deduction but basically none of the others! 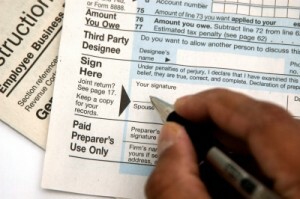 What deductions or credits are you taking on your taxes that you think might disappear in the future? How much money are you not paying in taxes due to them? Why Should You Consider Paying Yourself The Should-Be Taxes? What would happen if your taxes rose significantly next year? If your withholdings are proper, your take-home pay each month would be reduced. You would adapt your budget – either cut some spending or cut some savings. What I’m suggesting is to just prepare your budget for that possibility/inevitability by living month-to-month on less and contributing the extra to savings or a purchase or experience that doesn’t lead to lifestyle inflation. 1) If you adjust your lifestyle now, you won’t be unpleasantly surprised when taxes do increase. Being unprepared could even result in debt if you are unable to cut back on your lifestyle. 2) The savings that you can build up by paying yourself these would-be taxes can either boost your future standard of living when you will experience the higher taxes or help you transition to paying the higher taxes if your income doesn’t inflate fast enough to make up for them. One example of this was my recommendation to fellowship recipients that they should put toward retirement all the money they would be paying in payroll taxes if they were being paid earned income. That way when they transition to the W2 their budget will already be accustomed to the lower income and they’ll have a lot more money available in retirement than if they had been paying those payroll taxes or failing to save that income. We have been taking the standard deduction each year because our charitable contributions are less than that level and we don’t have a mortgage or any major medical expenses or anything like that. So what if we could only deduct the charitable contributions and no other deductions, credits, or exemptions, but stayed in the same tax bracket? We would owe an extra $162 per month in taxes. Yikes, that’s a lot of money for us! That’s not just lying leftover in our monthly budget. It would take some serious lifestyle adjustments to come up with that money if our taxes increased. Honestly, considering that we’re oversaving for retirement, most of it would probably come from our retirement savings rate. So maybe we’ve already implemented this strategy? Do you agree that taxes will increase in the future? 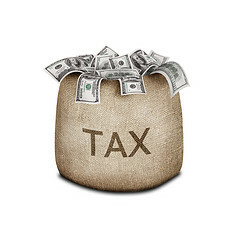 What do you think of my idea – do you or would you ever pay yourself taxes you think you’re getting a break on? What deductions and credits do you get now that you think you might lose in the future and how much might your taxes increase? 19 Responses to "Taxes You Should Be Paying"
I think the concept is great but I don’t think most people are able to do it. Most people’s budgets are strapped, so in order for them to really start saving that “extra” tax money then they’d have to cut something out. When they’re actually forced to do it and it’s not a choice then that will be different. Yes…taxes will definitely go up. I’ll be curious to see if they gradually do it or if they drop a atom bomb on everybody. Interesting way to look at this – I think taxes will probably go up in the future, but im hoping for more cuts than taxes. there are a lot of deductions that should go away, but paying yourself for them is an interesting idea. I agree with Jason, I think it would be hard for many people to do this. I would be able to, but it would definitely cut into my debt payment plan. And yes, taxes will go up. It’s hard to disentangle actual tax payments from the overall budgeting process, especially when considering big purchases with tax incentives. Suppose you buy a house and you assume you’ll “pay yourself” the taxes you are deducting from the interest payments. If instead you take that money and put it towards your mortgage directly, then you suddenly can afford a more expensive house. I don’t think I drew this out as much in this post as I had intended (I think it was more in the previous post on fellowship income) but the paying yourself should go toward either long-term savings or purchases that will not inflate your lifestyle (one-time vacation, perhaps). I’m not sure if I understand your point fully. If you bought a more expensive house and the mortgage interest deduction went away, you’d be even more disadvantaged than with the smaller house. Putting the money from the interest deduction toward paying down your mortgage faster would be consistent with what I’m proposing, though. I agree with your approach if you have reason to think that your particular deductions might go away in the relatively near future. if the budgeting process directly impacts the deductions themselves. Suppose my budget allocated $1,800/month for housing. If I try to pay myself the deduction when I budget, as you’ve suggested, then I can’t afford house 2 and I have to buy house 1. However, there are lots of reasons it can be good to buy the more expensive house. For one, I get to deduct more from the IRS. The mortgage interest deduction is a touchy example for us to discuss. Obviously since I’m not a homeowner I don’t have personal experience with it, but the advice that I read basically encourages people to ignore it when they are deciding how much house to buy, as it is a deduction and not a credit. Getting a bigger deduction only means you’re paying 4+x as much in interest. I don’t know politically how likely it is that the mortgage interest deduction will disappear, but to me it seems like a ridiculous thing for the government to be refunding money for, so if there is a major tax overhaul/simplification I think it should be phased out. At their worst, the deductions for mortgage and student loan interest encourage people to stay in debt. I know the mortgage interest deduction was put in place to encourage home ownership, but over-encouraging home ownership was such a huge component of the financial crisis, shouldn’t we be done with that now? Real estate advice is difficult to give/implement nationally, though. For instance, the advice to never take out longer than a 15-year mortgage may be next to impossible in the very expensive markets. I would argue that it is option 4 that we should watch out for. Think about an inflation hedge like buying a house instead of renting. It’s not so crazy to think that inflation moving forward will top today’s mortgage rates. Well, political viability and necessity are two different things. I agree that 3 and 4 are solutions (of a kind). I guess I’m rooting for 1, 2, and 3. I actually got White House Burning from the library a few days ago so maybe the author will address options 3 and 4. I’m pretty sure that taxes are going to increase and a number of deductions are going to decrease. It probably won’t happen too soon, because no politician wants to be responsible for raising taxes. I think taxes will NOT decrease for the middle class. The rich will be “asked” to give more. Historically, the “rich” gets more of the burden. We created a SS going back to 1913 which models the taxes one would have paid, indexed for inflation. http://bit.ly/LY1wKY It is quite interesting that only in a time of war were the taxes extremely high. The one deduction I don’t understand is for the second home. OK, I do understand WHY it is in place (psssstt…a lot of 2nd homes are bought in the DC area), but people then extend this to boats, RV’s etc. If I pay relatively little in income taxes (say 15%), I’m probably paying for a lot of my own health/eye/dental care. If I had kids, I’d be spending my money for their school supplies, transport, even extra-curricular activities, maybe even volunteering time there. I’d put save money toward my own retirement, and spend money taking care of my elderly relatives. Given that my my local/federal government isn’t taxing me to pay for programs that help t he community, I’d would want to give a charitable donations to homeless shelters, domestic violence shelters, child development care facilities, etc. If taxes are higher, I would hope (and take action through democratic means to ensure) that money gets distributed a little more fairly (to communities that don’t have large donations coming in) but to similar causes. Should they change from low to high, theoretically my basic-needs living/spending habits won’t be affected since I’ve been living within my means all along. But now some things will be made available to me through government-sponsored programs (e.g., healthcare, education materials, community support). So, should I be saving/investing the money I don’t pay in taxes? Not exactly, but in a way, yes. I’ll invest it in worthy community programs. Last year I came to the realization that the best (meaning highest future return-on-investment) thing I can do with my money would be to put it toward social/community programs that I believe in. As a result (and because it just feels right), N and I have increased our financial giving significantly (still is only around 5%), and increasing our involvement/volunteering in our religious community (~1 hr/wk/person to ~4 hr/wk/person). I don’t know what will happen to taxes in the future, but I’ve learned that being prepared is ALWAYS a good thing. Especially if you’re an independent contractor. Raising taxes and cutting spending cannot play together. Those are austerity practices that lead a nation into recession. As such, this is not a solution for shoring US debt. So yes, I do not know who Simon Johnson is, but I disagree with his austere recommendations. Our future is uncertain, we may have higher taxes, we may have spending cut, but my personal belief is that we will surely not have both. The fiscal cliff is fodder for the media to make their bucks, for the politicians to play servants to their base, but all in all it is something that will get ironed out in January after the cliff deadline.